Marisa feels that she is taking a backseat role in her own life. With nothing in the pipeline, no job or future, she puts herself to one side to focus on supporting her best friend, Mina, who’s inconsolable after breaking up with her boyfriend, Salvador. Marisa is lost in a jungle of other people’s drama while postponing hers. She wakens from this lethargy after an unexpected event completely overturns all her ideas and she wanders through the streets of Madrid, until she is forced to face what is worrying her. Antonio Morales (Almería, Spain, 1977) is a graduate of Complutense University of Madrid and extended his education at Madrid Cinema School and the Royal School of Dramatic Arts. He combines his works as a filmmaker with a solid career in theater. He has written and directed the plays Mise en Scène (his debut with company La Xirgu, which won the Best Theater Script at ‘Escena Abierta’ Festival), Marvellous Creature and Chekhov Will Save Us. As a filmmaker, he has directed several short movies, including The Maya Deren Plot, which was screened at festivals all throughout the world. 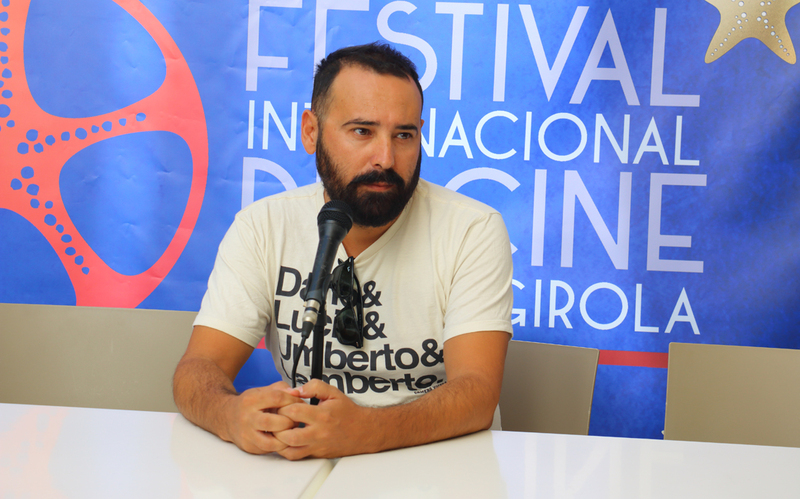 His debut feature film Marisa in the Woods has been one of the surprises of new Spanish independent cinema and has been screened at renowned festivals such as Seville European Film Festival, Cinequest Film Festival and Bogotá Film Festival.